You can link your Square POS with 7shifts to provide accurate sales forecasting when building schedules. This allows for more accurate scheduling if you're wanting to stay on budget and within your labor target percentage. 7shifts will also show you in real-time what your actual sales are and alert you when you're making shift changes. 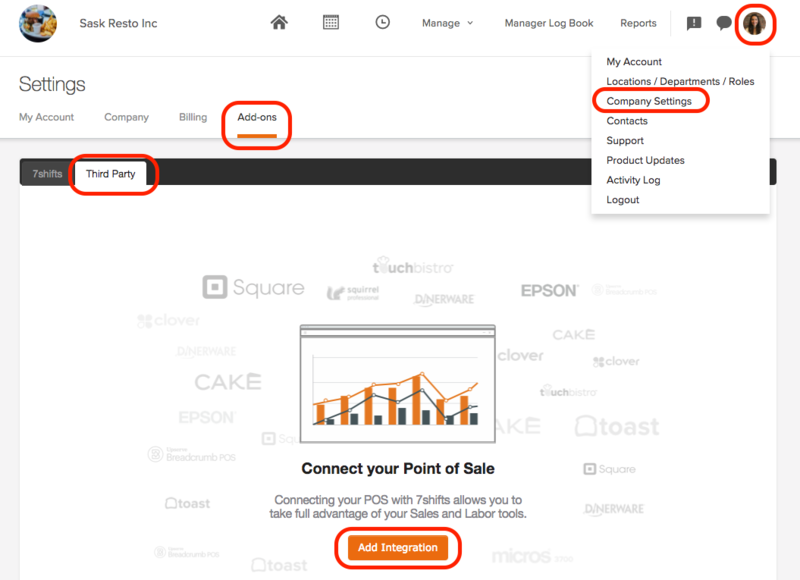 Before you can turn on the specific type of integration (see above), you will need to add the appropriate POS integration within your account. Log into your account and hover over your profile picture > Company Settings > Add-ons > Third Party and click 'Add Integration'. Check the box next to the Square logo from the list of compatible POS systems before clicking 'Add'. After you selected Square as your Third Party Integration, complete the below steps to get started. 2) Next you will be taken to Square to verify your account. 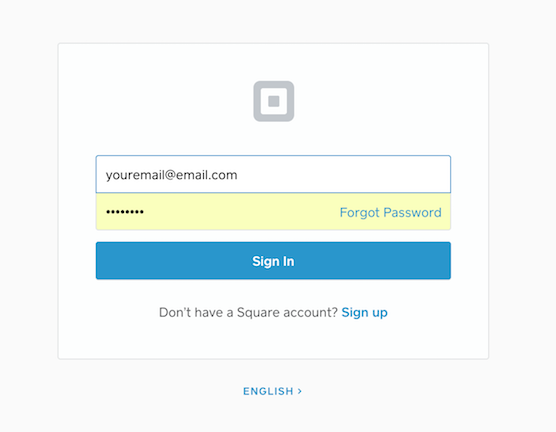 Sign into your Square account with your existing login email and password. 3) Once you have signed in, a Permission request will appear (see below), click "Allow". This allows for your real-time sales data to be sent to 7shifts. Next, you will be taken back to your 7shifts account. 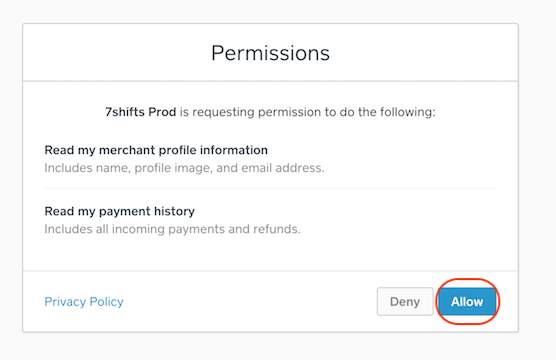 4) Your Square account information will be automatically entered into 7shifts. The email address associated with the account will appear under "Account", shown below. 5) Next, connect your location in 7shifts with your Location in Square. To do this, select your 7shifts Location > click the Square location drop down menu and select the Square location that you would like match up. Once the Square Location is selected, click "Activate". 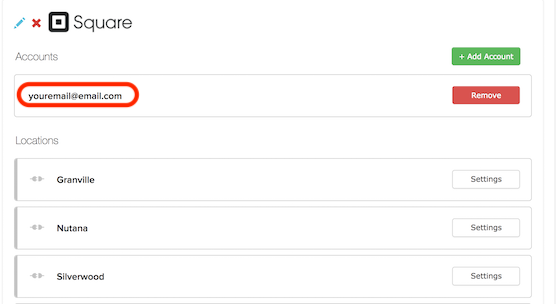 If you're Location names are appearing the same in the 'Square Location' dropdown you'll want to head over to your Square POS and edit your Location names to something unique. It may take up to 30 minutes for your sales data to sync with 7shifts when you first initialize the integration. The actual sales row in the budget tool will initially be empty until your Square sales start rolling in. Now when you go to build schedules for future weeks, 7shifts will automatically look at past historical sales from your Square POS and insert sales projections for you.